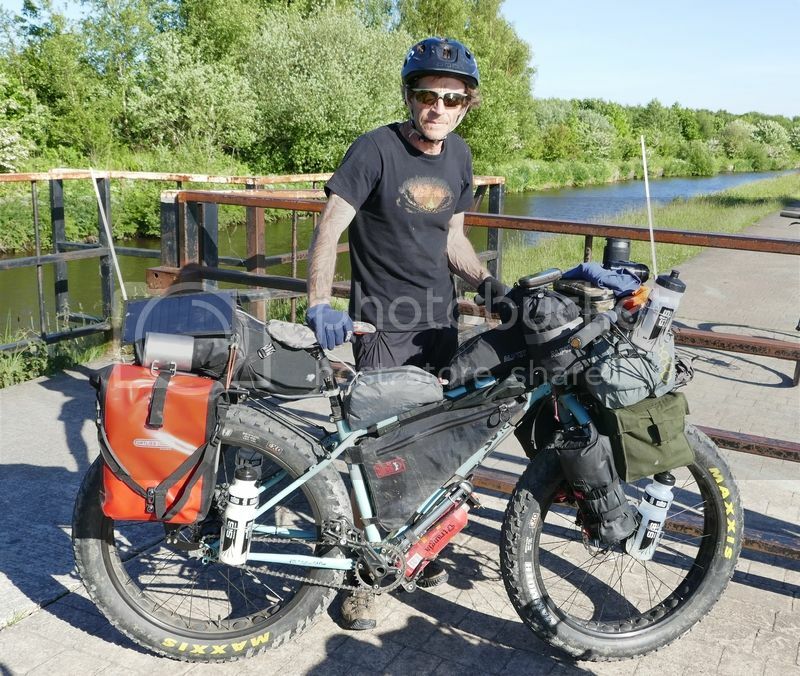 This lad Ben Wright is riding his bike all the way to Australia via the canals and footpaths, he was on his from Manchester to Liverpool when he bumped into me on the Leigh branch of the canal. This is what he said about Wigan ,,,,,Was looking for a camp site along the canal though was on a raised bank with loads of lakes an ponds along side, no good for camping an soon made Wigan which was an unexpected bonus for today, makes tomorrow a bit shorter. Found a lovely pitch, though a bit close to the towpath, hopefully bike will still be here in the morning, its locked so fingers crossed. One thing I won't miss about the towpath is the array of stupid ******* totally cycling unfriendly gates an obstacles to slow us down. Ok, I accept that mine is not the run of the mill bike but come on.. around Wigan was a nightmare!!! The Ozzies will just love him............another whinging Pom. Looks like he needs a damn good meal inside him, he will be a lot thinner after biking half way round the world. What you can see is all muscle something maybe you not familiar with. muscle Pavlov's dog's had more meat on them. Is he doing this as a bucket list as he doesn't look well at all.